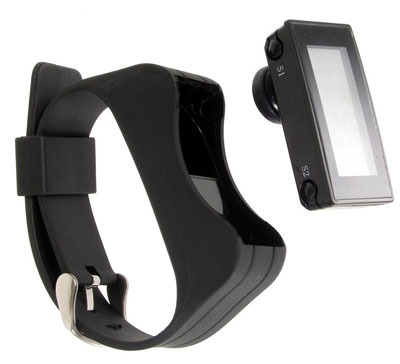 GeeksTUFF4U has started selling the latest Bluetooth Handset Digital Watch from Thanko. This gadget comes jam packed with a large LCD screen, which displays your basic calls information, the current time and the battery status. Each Thanko Bluetooth Handset Digital Watch is priced at 10,450 Yen ($119). This entry was posted on July 17, 2010 at 7:15 pm	and is filed under New Electronic Technology. Tagged: Bluetooth Handset, New Elctronic Technology. You can follow any responses to this entry through the RSS 2.0 feed. You can leave a response, or trackback from your own site.